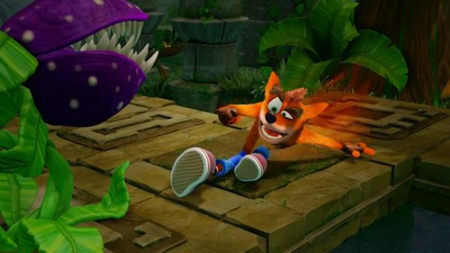 Crash Bandicoot: Nsane Trilogy has managed to cling on to the top spot in the UK retail charts this week, this despite the launch of Lego The Incredibles and Octopath Traveler on Nintendo Switch. It was a close-run thing, however, and if you were to base the charts on money taken over the counter, Octopath Traveler would have snatched first thanks to its higher pricing. Another new entry this week (or perhaps that should be re-entry) is Captain Toad: Treasure Tracker, which landed at no.4 after its re-release on Switch and 3DS. The only other new entry, according to GamesIndustry, is Shining Resonance Refrain, with Sega's game charting at no.27.